We just learned about the painting The Night Watch by Rembrandt. Another famous painting was called Relativity by Dutch painter Maurits Cornelis Escher, also known as M. C. Escher, painted in 1953. Escher was known for making his paintings very detailed and sometimes using math ideas to make his pictures interesting. 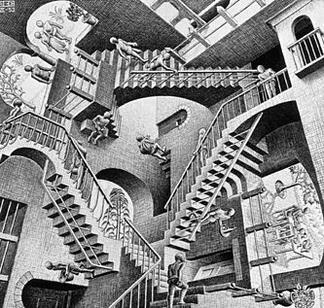 In his Relativity painting, there are many stairways that connect in strange ways, and people that look like they must be standing on the ceiling or on the walls. The way he made his painting was using something called a lithograph on limestone. For a lithograph, first the artists take a large slab of limestone, and scrape it clean so there a nice flat surface to draw on. Then they use something like a greasy oily crayon to draw the painting. When the painting is done, they pour a type of acid and gooey sticky thing called gum arabic on the painting and spread it around and let it dry. The acid and gum arabic sticks only to the parts that don't have oily crayon, and works like a clear cover for those areas. After it is dry, they use something called a solvent, which washes away the oils from the crayon. Then they pour liquid ink onto the limestone and rub it in, and that ink sticks only to where the oily crayon was. They wash the limestone with water, and that washes off the liquid ink from the areas that didn't have crayon, because they are protected by that clear cover from the acid and gum arabic. After all of that, the stone has oily ink only on the parts where the drawing is. They lay a sheet of paper on top of it, and press it down onto the stone, and when they remove the paper it has a copy of the painting the artist did. They can make many copies from the same lithograph limestone, kind of like a copy machine before the copy machines were invented. and he is angry is er ist wütend. So all together Sie sind aufgeregt sounds like Zee zint ow-f-guh-raykt. and altostratus clouds are flat and hazy and in the middle of the sky. Another type of cloud is called a cirrocumulus cloud. Just like cirrus clouds they are up high and spread out, and like cumulus clouds they are puffy looking, but a lot smaller cotton balls spread apart. We've learned a lot about spiders, now let's learn about dogs! There are many different types of dogs in the world, and each one of them is a little different. Each dog has a different type of job and is good at a different type of thing! The Australian Cattle Dog is a very smart, very strong with lots of energy. This dog's job was to help herd cattle over long distances and rough land. When it herds cattle, it nips at their heels to get them to go the right way. The dog's colors can be red or blue. The blue color comes from the black and brown hairs mixing with gray hairs. They have what looks like a mask over their face, with dark coloring over their eyes. We know that the subclavian artery brings oxygenated blood from the heart toward the arm, and splits into some other arteries like the vertebral artery, internal thoracic artery and the dorsal scapular artery. After those other arteries split off from the subclavian artery, it keeps going and turns into the axillary artery. This brings blood to parts of the chest, the armpit and the upper arm. We learned that Jesus had to carry the wooden cross to the place he would be crucified. The hill where he was crucified was a place called Gol'Gotha, also known as Calvary. Sometimes the cross Jesus was nailed to is called the Cross of Calvary, because of the name of the hill. some build funnel webs, and others build tubular webs. Another type of web is called a sheet web. Sheet webs are large webs that can cover very large areas, up to a meter wide! and the Internal Thoracic Artery to give blood to your chest. Another branch of the subclavian artery is called the Dorsal Scapular Artery. 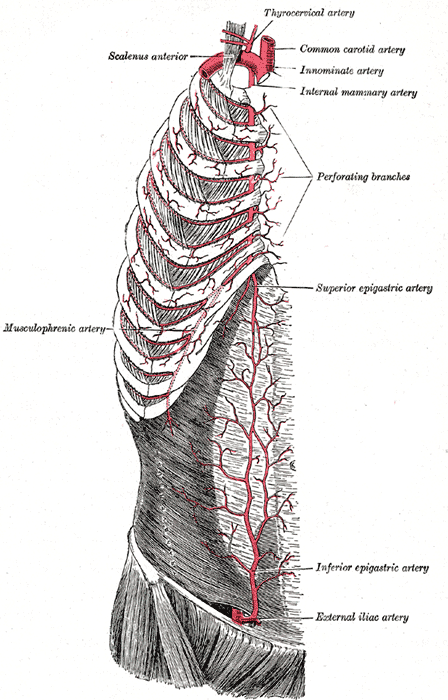 This artery brings blood to the muscles in your back. 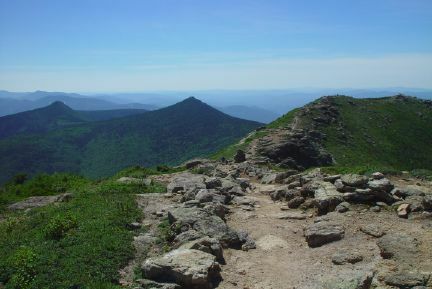 Maine is a state in the north east part of the US, with the Atlantic Ocean on it's east side, and Canada to the north. It's nicknames are: The Pine Tree State and Vacationland because it has so many nice forests and natural beauty. It's motto is: Dirigo, which means I lead. 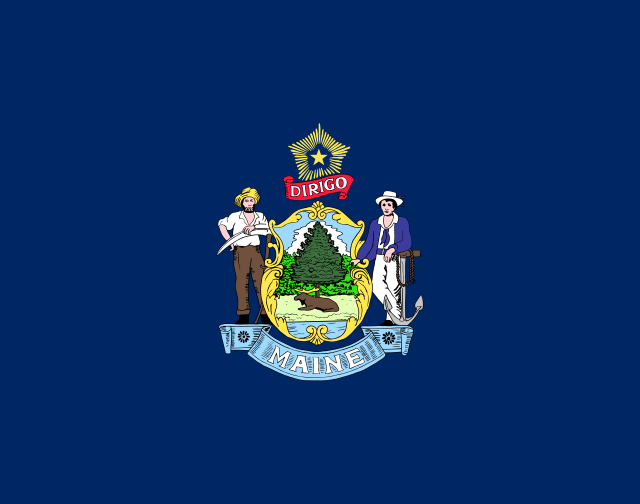 The flag of Maine has the state seal on it, which shows a farmer, a sailor, a moose, a pine tree, the ocean and the north star. Maine is famous for the lobsters that people catch in the ocean. Maine has close to 70 lighthouses because it is on the coast of the Atlantic and has so many ships coming and going. Most of Maine is covered in forests. Of the 35,000 square miles in the state, about 30,000 is forests! We just learned about the famous work of art Guernica by artist Pablo Picasso. 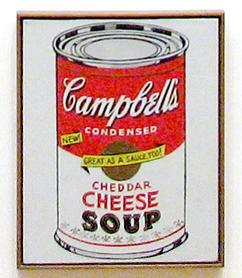 Another famous work of art was called Campbell's Soup Cans by artist Andy Warhol. Andy Warhol started off working in advertising where he would use something called silk screening. Silk screening is like using a stencil to fill in colors, and the open parts of the stencil have a screen over them with holes in it, just like a screen you might find in a window. Using this silk screening it was easy to make the same picture over and over again. 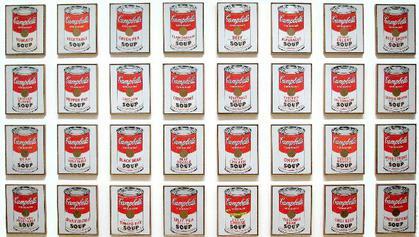 Warhol made paintings of 32 different Campbell's soup cans. When he showed them to people at an art gallery, some people were very upset and didn't think he was a good artist. Other people thought it was very interesting, showing art using something you'd find at a grocery store. Warhol was very famous for something called Pop Art. This type of art was of famous people or things you might see in TV commercials. 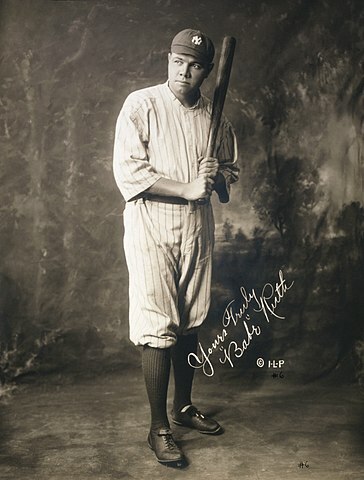 Pop was short for popular, so anything that was really popular might end up in a painting. and others build funnel webs. Another type of web is called a tubular web. These types of webs are built in cracks in walls, or trees. and when they feel their web move they jump out and bite their prey. and how it branches into the vertebral artery in your neck to give blood to your brain. Another branch of the subclavian artery is called the internal thoracic artery. This artery brings blood to your chest. Bayou State - because there are many slow marshy rivers and swamps called bayous in Louisiana. 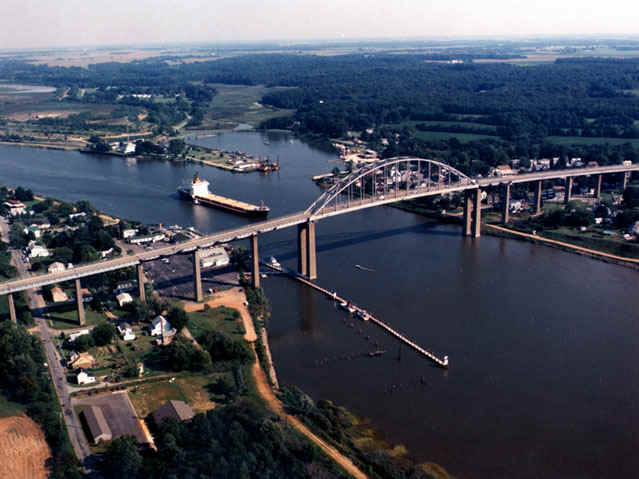 Child of the Mississippi - because the Mississippi river ends in Louisiana and goes out into the Atlantic Ocean. 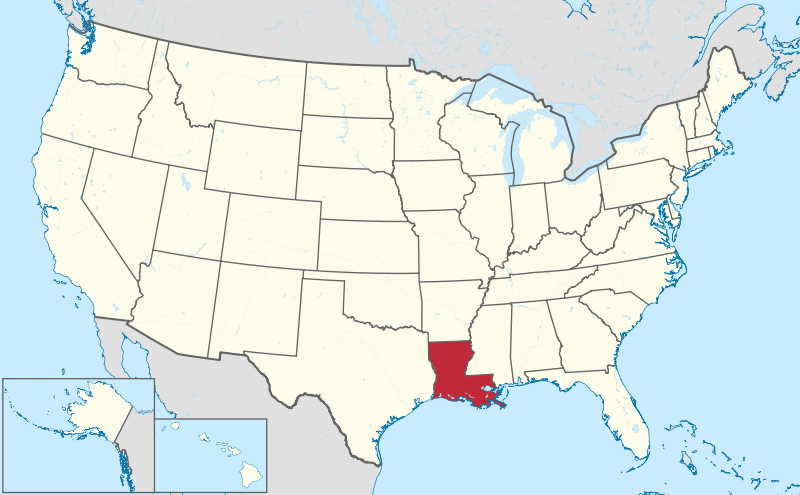 Creole State - because people who lived in Louisiana before it was part of the US were called creoles. Pelican State - because the pelican is the symbol on the state seal. Sportsman's Paradise - because there is so much fishing in Louisiana. Sugar State - because sugar was a very important crop. The state motto is: Union, Justice, Confidence. 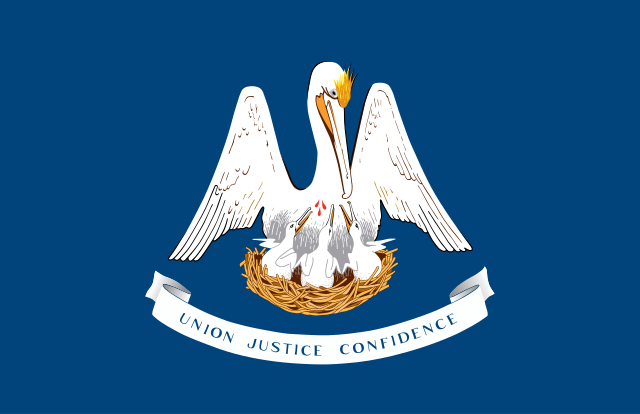 The flag of Louisiana has the state motto on it, and also a picture of a mother pelican poking herself in the chest, making herself bleed so she can feed her babies. This might seem strange, but it is based on an old legend about a pelican whose children were starving and she did not have enough food to feed them so she cut herself so her babies could live. This story is used in Christianity to be a symbol like Jesus who died on the cross so his followers could live eternally. Louisiana catches more crayfish than anywhere else in the world, and the US eats more crayfish than any other country! 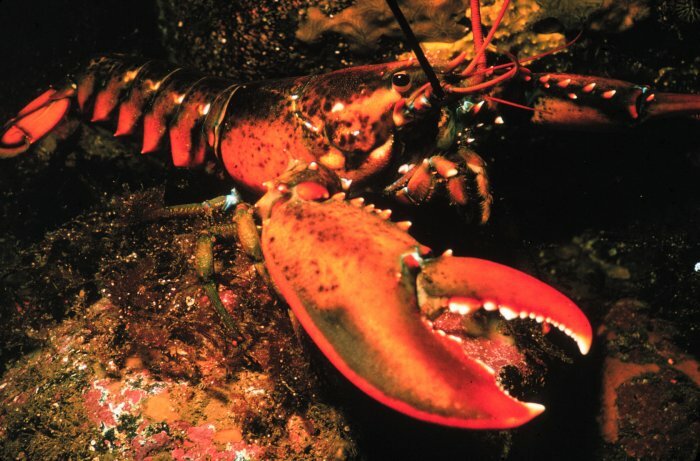 Crayfish are sometimes called crawfish, crawdads, freshwater lobsters, or mudbugs. Louisiana is the birth place of jazz music, as many of the most famous jazz musicians are from Louisiana, like Louis Armstrong. New Orleans is a very famous city in Louisiana, right on the Mississippi. Many people go there to visit the old buildings, listen to music and eat many different types of food. Cajun food was a type of food invented by people who used to be from Canada, but were kicked out and went to live in New Orleans. There are many swamps in Louisiana, with lots of alligators, snakes and turtles. the crowd of people made fun of him, put a robe on him and gave him a crown made of sharp thorns to wear to pretend like he was a king since he said he was the king of the Jews. Even though Jesus was very powerful, he did not fight back because he knew it was all part of God's plan for him to die on the cross. We just learned about the famous work of art A Sunday Afternoon on the Island of La Grande Jatte by artist Georges Seurat. Another famous work of art is the painting Guernica by Pablo Picasso. This painting was about a war that was going on in Spain, and Picasso wanted to make a painting that would make people realize that war was bad. Picasso was famous for painting in a style known as cubism, which was a very different way to paint pictures of things. The artist would think about all of the sides of something that they wanted to paint, like the left, front, right and back sides, and then in the painting would show more than just one side. Usually in a painting you only see one side of a person, like their front or left side. But with cubism things could be painted to show more sides, and it usually looked very strange. In the painting Guernica there are many pictures of things that you can find if you look closely. A bull, a woman holding a baby, a horse, a light bulb, and faces of different people who are scared, surprised or sad. Because the cubism style of painting is so strange looking, some people have looked and found other types of hidden pictures like a skull or a bull, or even other people. and stratus clouds are flat hazy foggy clouds that sometimes have light rain. Another type of cloud is called a nimbostratus cloud. but like the cumulonimbus cloud it is dark and is a sign of rain. Usually nimbostratus clouds mean it is going to be steady rain for a while, but not thunderstorms or tornadoes. We've learned that the oxygenated blood leaves the heart at the aorta, goes to the aortic arch, and then to the subclavian artery. The subclavian artery then splits into some other arteries, and one of them is called the vertebral artery. The vertebral artery goes right into your spine and then goes up your neck to help give more blood to your brain, along with the internal carotid artery. Kentucky is a state in the southern midwest part of the US. It's nickname is the Bluegrass state because there is a type of grass that grows there that looks a little bit blue. It's motto is: United we stand, divided we fall and Deo gratiam habeamus (Let us be grateful to God). The flag of Kentucky is blue, with the state seal in the middle. The state seal is two men shaking hands, one is a pioneer and the other is in a suit. 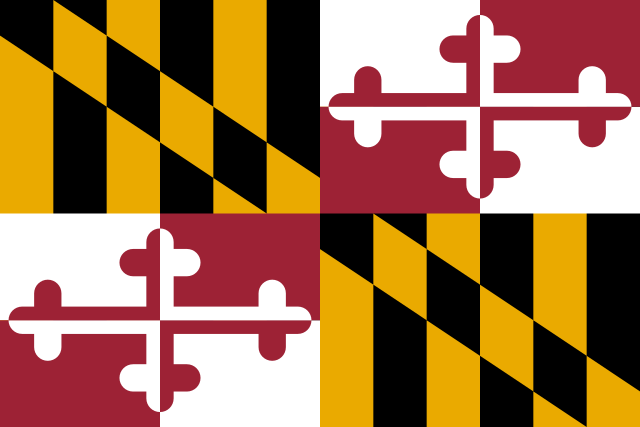 There are goldenrod flowers around the circle, and that is the state flower. 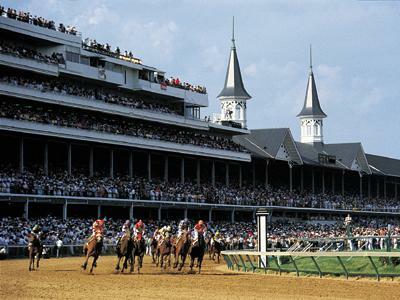 The biggest horse race in the USA is called the Kentucky Derby, held every year in Louisville, Kentucky. Mammoth Cave in Kentucky is the longest cave system in the world. There are over 400 miles of passageways in the caves. The famous Kentucky Fried Chicken restaurants were started by a man named Harland Sanders, who would later be known as Colonel Sanders. After Jesus was put on trial by the group called the sanhedrin, he was taken to the people in charge of the city he lived in to be put on trial. The person's name was Pontius Pilate, and he was the ruler in the area of Judea that was part of the country called Rome. The people who did not like Jesus brought him to Pontius Pilate and said that Jesus was telling everyone that he was the King of the Jews. They said that it was against the law for him to say he was king, because the Roman Emperor was in charge of all the people and that would mean Jesus was better than him. Pontius Pilate talked to Jesus but didn't think that he did anything wrong, so he wanted to have him set free. The angry crowd said that they wanted Jesus to be guilty, so Pilate agreed to have Jesus crucified on a cross.